Because at the Claire Marie Foundation we believe in honoring Claire’s sassy, fun and joyous spirit while raising awareness of adolescent melanoma, we were thrilled when Claire’s friends created and launched the Claire Marie Dance Challenge in honor of what would have been her 19th birthday in April! From Lynchburg College Men’s Lacrosse to Delta Delta Delta sorority at the University of South Carolina onto Johns Hopkins Women’s Lacrosse and much more, there was a whole lot of dancing, shaking and celebrating going on at high schools and college campuses throughout the Mid-Atlantic and the South. In the end, the videos posted on youtube, garnered nearly five thousand views and helped spread awareness of adolescent melanoma to those affected the most! Thanks to all who joined in the campaign. If you feel inspired to join in the cause – the Claire Marie Dance Challenge is still open! Just follow the directions below! Let us see your moves! 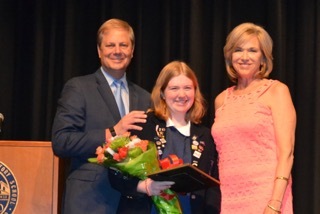 The second annual Claire Marie Foundation Scholarship for Arts and Design was recently awarded to Meredith Egan, a 2016 graduating Senior of the Notre Dame Preparatory School in Towson, Maryland. 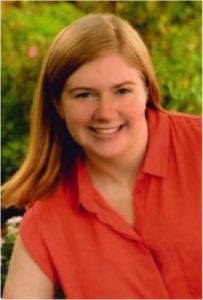 Meredith will be attending Rollins College, in Winter Park, Florida to pursue a Bachelor of Fine Arts degree in Theater Design as well as Business Administration. 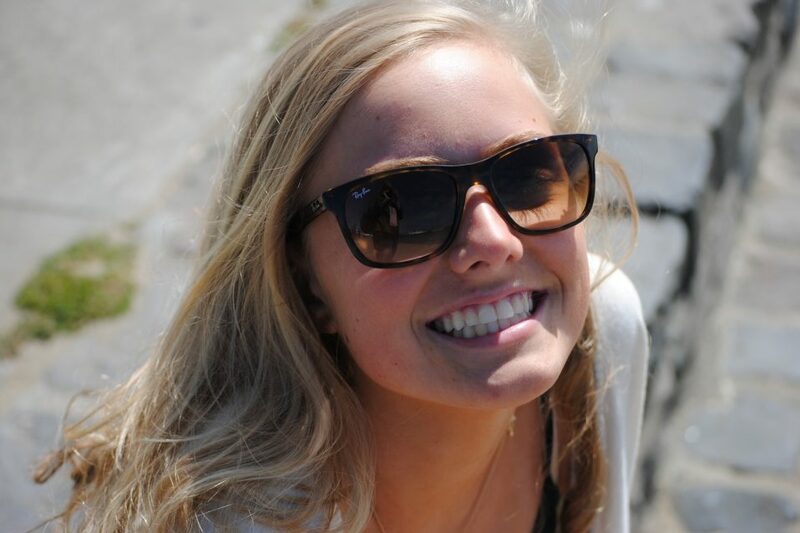 The Claire Marie Foundation Scholarship is awarded annually in the memory of Claire Marie Wagonhurst, an aspiring interior designer and member of the Notre Dame Prep Class of 2015 who passed away of adolescent melanoma at the age of 17. Applicants must be a graduating senior at Notre Dame Prep pursuing an academic and professional career in design arts. An impressive panel of professional judges determined the winner of the $5,000 scholarship, including Model, Fashion and Life Style Expert Molly Sims, Los Angeles based Interior Designer Stacey Vuduris, Creator and Designer of Danielle Nicole handbags Danielle DiFerdinando, Fashion Illustrator Inslee Haynes, Lighting and Set Designer, Tim Swiss of Los Angeles and Maryland’s First Lady Mrs. Yumi Hogan who is an accomplished artist and educator at MICA. The Claire Marie Foundation was established in 2014 following the death of Claire Marie Wagonhurst, a sparkling 17 year old who lost a long battle with adolescent melanoma as a result of changes her body went through during puberty. 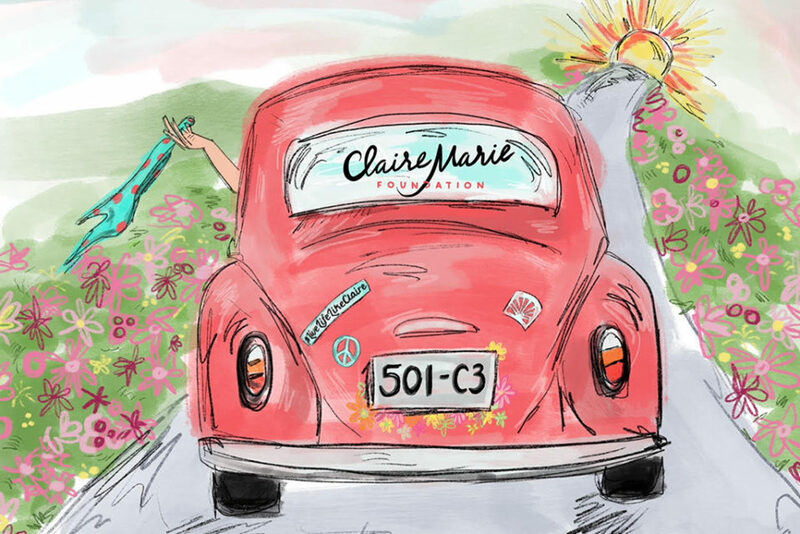 The Claire Marie Foundation strives to raise awareness, clarity and hope in the fight against adolescent melanoma while celebrating the joy, color and beauty that Claire embraced every day. 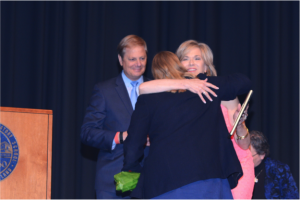 The Foundation is led by Marianne Banister and her husband Rocky Wagonhurst, Claire’s parents.